Manchester City and Tottenham Hotspur go head to head in their second leg tie of the Champions League quarter finals on Wednesday night, with kick off set for 8pm at the Etihad Stadium. Spurs came out as victors in the first encounter thanks to a second half strike from Heung-Min Son, although Pep Guardiola is expected to field a stronger starting eleven in this one after leaving Kevin De Bruyne and Leroy Sane on the bench until the very end of the ninety minutes. Manchester City have won four of their last five games in all competitions, losing once and keeping three clean sheets over that period of time. Following a dramatic comeback in the FA Cup versus Swansea City, Guardiola’s men then saw off Fulham by two goals to nil and followed that up with another two goal victory, with De Bruyne and Sane getting on the scoresheet during that fixture. In their FA Cup semi final with Brighton, City struggled to finish off their opponents after grabbing an early lead through Jesus’ header four minutes into the affair, however they eventually got over the line in spite of the fact it was one of their poorer displays of the season. In City’s most immediate Champions League outing, Spurs beat them by a solitary goal in a result which the Sky Blues seemed to be accepting of. With nineteen goals to his name in the league for this campaign, Sergio Aguero is the top-scorer at Manchester City domestically. The Argentine forward has also totalled five in the Champions League for his team, while Raheem Sterling can boast fifteen in the league and three in European competition. Despite his impressive statistics, Sterling has not netted once in any of his last four appearances, whereas Aguero has gotten on the scoresheet in three of his last four games for the club. In terms of assists, both Leroy Sane and Sterling sit atop that chart with nine each. Oleksandr Zinchenko, Claudio Bravo, Fabian Delph and Aguero are doubts for this one. Spurs come into this one having won three of their last five games, losing the other two and scoring nine. Following a disappointing defeat at the hands of Southampton, Pochettino’s side were then subjected to the same fate after the international break as Liverpool beat them by two goals to one thanks to a late own goal from Toby Alderweireld to put the Reds back in front. In Spurs’ first fixture of April, they defeated Crystal Palace 2-0 in their opening encounter to take place in their new stadium, the Tottenham Hotspur Stadium, as Son and Christian Eriksen netted the only goals of the tie. The Lilywhites have not conceded in their last three matches, with wins over Manchester City and more recently Huddersfield raising their confidence before an important end to the campaign. Spurs first put one past Ederson to take an advantage into the second leg, while thrashing already relegated Huddersfield Town 4-0 on home soil. Seventeen league goals and five Champions League goals sees striker Harry Kane top of the scoring leaderboard at Spurs yet again, however the English forward has not found the back of the net in any of his last three appearances. Heung-Min Son has been in much more impressive form, bagging twice and providing one assist in his last three, while Lucas Moura grabbed a hat-trick last time out and took home the match ball in the rout versus Huddersfield. 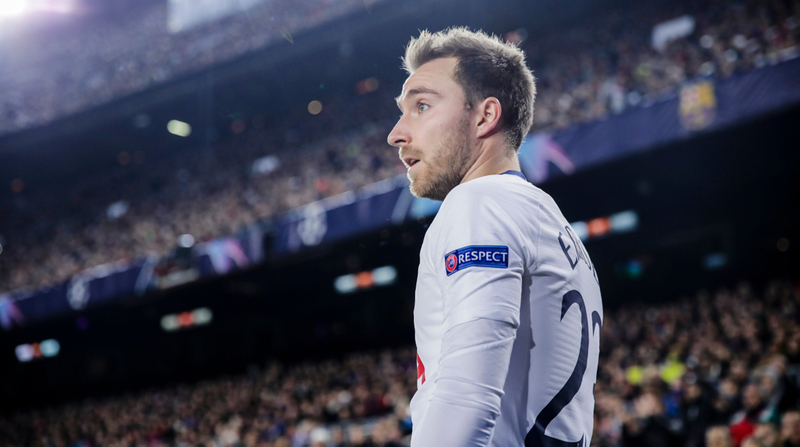 With twelve assists, Danish international Eriksen sits atop the charts in that respect having created double the amount of goals as second placed Son. Eric Dier, Erik Lamela, Fernando Llorente, Serge Aurier and Vincent Janssen are injury doubts.